I’ve been gaming for over 30 years and for much of that time I’ve been the GM. I’ve run countless adventures, killed the “occasional” PC and had tremendous fun. However, some campaign adventures have escaped me (for now). I don’t mean I don’t own them. Rather, I mean I have not yet run them. Sometimes it’s because of scheduling or the investment in time is too great (either for running it or preparing it) or that we simply wanted to play something else at the time. For example, at the moment, we are on a break from my Borderland of Adventure campaign and when we return in a few months we’ll be hurling ourselves into the Shattered Star adventure path which fits perfect with the campaign direction. The other day, a friend of mine mentioned he had a gaming bucket list of adventures he really wants to run. That got me thinking: what’s on my GMing bucket list? When looking at my list, keep in mind I primarily play D&D (yes, I include Pathfinder in that) and so my list is aimed squarely at that family of products. 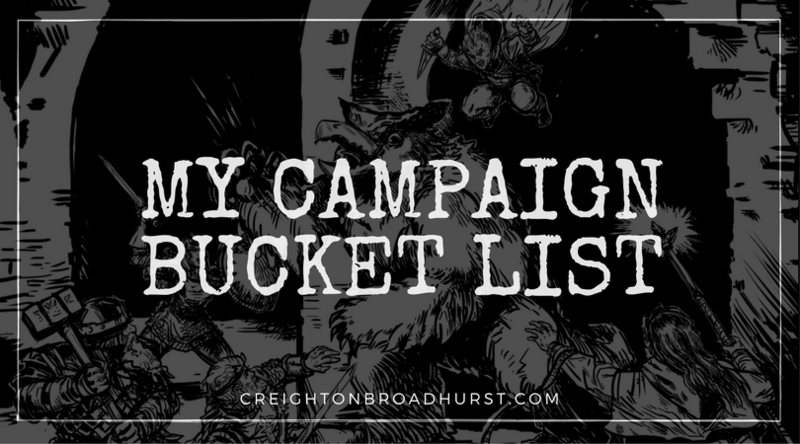 So, without further ado, here’s my top 5 mega-adventures on my campaign bucket list. As a player, I’ve been through bits of this epic campaign, but I’ve never actually run it. I almost ran it a couple of years ago, but one of my players had recently GMed it, and didn’t want to play it. My preperation got pretty advanced, though. I. Even wrote a whole book of random encounters just to be ready (I hate boring random encounters), but it was all for naught. Paizo’s first adventure path has a super cool backstory and the adventures are top notch. With the advent of a Pathfinder version of Rise of the Runelords, this is the adventure on my bucket list I’m most likely to run. Ed Greenwood is an amazing writer and I love the detail he weaves into his adventures and settings. 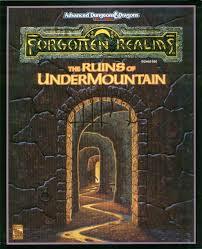 I also love megadungeons (hell, I’m designing my own), so it should be no surprise Undermountain makes my bucket list. I would love to run this megadungeon for my players using either 2nd edition AD&D or Pathfinder. The one downside of this adventure is I think the maps are not exactly conducive to play as they are gigantic. I’ve got a fair few GM screens, but I don’t think hiding the maps will be particularly easy! 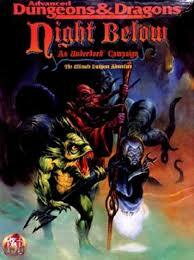 Another gigantic adventure, the epic, sprawling nature of Night Below really appeals to me. Having an entire campaign in a box is alluring and the standard (and quantity) of the player handouts is excellent. You might have noticed, by this point, I love underground adventures and campaigns. I think this is a symptom of reading and rereading Queen of Spiders in my teenage years. Probably the shortest campaign on this list, Desert of Desolation is a reworking of I3-5. I have vague memories of playing these back in school, and having an absolute blast. It’s the most exotic adventure on the list, as it’s set in a desert. The Pathfinder ruleset — with spells like at will create water and readily accessible endure elements — somewhat nullify some of the environmental challenges so it might be back to 2nd edition if we have a crack at this campaign. So that’s my campaign bucket list. What’s on yours? I concur with your choices, getting ready to hopefully play through Rise of the Runelords soon. 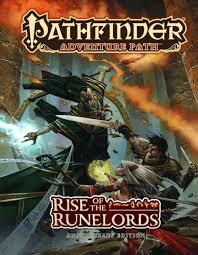 I converted to Pathfinder just over a year ago not having played D&D since the early 80’s and loving the rule set. You should really include the latest adventure path (Iron Gods) on your list if you liked the old Expedition to the Barrier Peaks. It expands the story line and gives great background and reasoning for meshing science fiction technology in with fantasy and also keeping it from being too overpowering. I think the AP prior to that one (Mummy’s Mask) is a good desert / ‘Ancient Egyptian’ type campaign as well similar to Desert of Desolation. Thanks for the suggestions, Don. I’m also really looking forward to the upcoming giants AP. Very G1-3 I hope! Free info like this is an apple from the tree of knlwgedoe. Sinful? The first adult books I read were the Dragonlance Novels. I loved them. They got me into D&D. Those campaigns are definitely on my list. Some nice choices there! I’m currently running one of my groups through Rise of the Runelords; we’ve reached the midpoint of book 3. The Shackled City (Paizo) – I’m in the midst of prepping this for the D&D 5 rules. Looks like it should be fun. Slumbering Tsar Saga (Frog God Games) – This looks to be about as epic as anything I’ve ever seen. 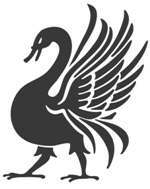 War of the Burning Sky / Zeitgeist (EN Publishing) – One of my groups really likes plot and intrigue heavy role playing; either or both of these should fit the bill. Eyes of the Stone Thief (Pelgrane Press) – The 13th Age system is pretty fun and this megadungeon looks to be a total blast. I’ve been hankering to play some second edition D&D for a while as well so one of these days I’ll steal all of the best bits of the various Ravenloft modules I have (I think I have all of them now…) and run a nice gothic sandbox throughout the Domains of Dread. The biggest problem I find is that there are more good adventures out there amongst the various editions and their clones/offshoots than I’ll ever be able to run! sign me up for undermountain, :). the best dungeon ever screated as a sandbox area. totally limitles place and tied in with the waterdeep boxed sets gives you everything you will ever need for a campaign. Make it a roll20 campaign and I’m there! Where’s my wizard hat? I did a blog post about this several weeks ago. Wish I could find a group in Pittsburgh with like-minded goals. Nice post. I feel a bucket list of short modules will be appearing on this blog in the near future! Thanks for the idea! Thanks Creighton, and you’re welcome! There are so many designers that seem to be in the same mode of getting back to basics, but most of the players I run across are only interested in the latest, greatest iteration. I’ll root out those rare gems though and put together a group that will want to play the classics. It just may take some time. Ran part of Ruins of Greyhawk, and was almost obsessed with the expanse of it (mega dungeon syndrome?). When I recently got my hands on Expedition to Ruins of Greyhawk, it rekindled the whole thing. Of course there was a lot of tweaking to be done in original sandbox style module, but the general flavour and epic nature put them firmly at #1 on my list. Joe Bloch does a nice job blogging about expanding the TOEE story line. Here is his latest post, but if you search on some of the keywords you will find 4 or 5 others on his site. GDQ is on my “bucket” list. My brother and I more or less soloed it way back in the day, but it was super fast and loose, and I think we skipped D1 & D2. I’d like to take a shot at it someday. Also, there’s two Top Secret missions I’ve never run (one got started, at least), I’ve never had a Star Trek RPG that went anywhere, and there’s a few ideas I have for stitching together various modules, mostly from Dungeon magazine, in D&D or something sci-fi. My current group has played in 4 long campaigns (at least some of us): Temple of Elemental Evil, Night Below, Shackled City, and Savage Tide. In all three, we more or less got bored or burnt out once we got past the halfway point, and moved on to other games. I’d like to float the idea of an all-star closing team, we can take whichever high-level character we like from any of those campaigns, and we pick one campaign to finish. I probably shouldn’t say anything soon, since we’re nearly halfway into my Kingmaker game, and I don’t want to jinx that. My list is technically just one, known as the “long campaign”. It follows the following route. I have the version that links them altogether as one campaign. Never had the chance to play or DM it, but one day…! That would be an awesome campaign. It would take years, you should start today! I want to run through the entie Al-Qadim canon. The Friday Night Gaming Group is currently working our way through it with me as GM, so there’s hope that we might finish it before we all retire. Great idea – I’d love to do that! I ran Night Below about 10 years ago, whilst a great setup, by the end the adventurers are just a bit too powerful and they creamed the aboleth in the city. 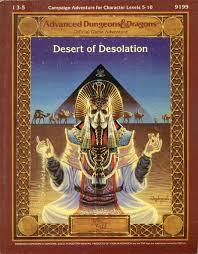 Deserts of desolation is fantastic, great setting and a real old style sense of tomb raiding. If you play undermountain, get the 2nd box set and the ‘lost levels’ modules. Some fantastic adventures. Ever wanted to shrink your pc’s?? 4. The Great Modron March and Dead Gods – 2 linked deluxe planesacpe adventures. Defend the modrons from someone who is trying to pervert their march and Dead Gods- stop the resurrection of Orcus!! 1) The Ruins of Myth Drannor – There’s something about a devastated city full of dungeons that really fires my imagination. I remember reading through the box set one spring in preparation for running my players through it, but we never ended up getting to it. Almost every spring now I think of Myth Drannor. 2) Kingmaker – I really loved the idea of the Birthright campaign setting, though I found the implementation left a lot to be desired. I feel like Kingmaker does what I wish Birthright did. I’d love to play it as a player but would be afraid it wouldn’t live up to my expectations. 3) I’d like to play something centered around Elves. I’m not sure if there’s a campaign that fits the bill. 4) The Menzoberranzan boxed set – In the original boxed set, there was an adventure built around a low ranking drow house. I always like the idea of trying to play a campaign centered on the nobles of a drow house and trying to lead it up the city’s ranks. 5) Related to #2, I often think of implementing Birthright with Pathfinder rules. Certainly there would need to be a lot of adjustments, but I always liked the flavor of the setting. As you can see, my interests are skewed towards elves and kingdom building. With all this talk of mega dungeons, I was surprised no one mentioned my all-time favorite, The Temple of Elemental Evil. I ran this decades ago and my group still talks about it from time to time. I love the ToEE, but I’m not sure (for me) it counts as a megadungeon. It’s a “mega” adventures, but megdungeons need to be absolute whoppers! 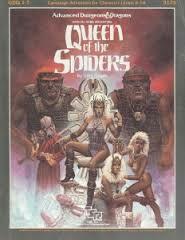 I’ve run Queen of the Spiders both as the Mega-Module and the individual Green-Blue-Purple series. This has always been my go to. Always had a thing for Spiders against the party. I’m in the process of setting it up for BRPG but obviously it’s taking time. I just started playing PF and would like to do a conversion as I get better at it. I’ve also run the DoD Series as well – very nice thinking set. I have seen some excellent adventures here, and I should look into them. Creighton, I think that if you wanted to play that desert campaign in Pathfinder, you could arbitrarily either eliminate the spells you mentioned, or nerf their power considerably, like endure elements merely offering a scant few minutes of relief. Maybe that area is a low-magic zone, or worse, a wild magic zone. Just import wild magic rules from 2nd ed, if you like them better, of course. Just food for thought. I’m running “Rise” now. It’s good, but can get messy in some of the early chapters. I have pretty mixed feelings about “The Skinsaw Murders” — it gets very contrived in places, even before taking into consideration the bizarre architecture (Kyver’s Islet sawmill in particular). But, it’s my first campaign as GM, and I didn’t start as GM. It helps tremendously to have a published, and, in this case, extensively plat-tested and revised campaign … but sometimes it gets pretty haphazard. It doesn’t help that I introduced the “mythic” subsystem, but even before that I feel like the first three chapters are trying to be too many things at once. Still, there’s a lot of good stuff there. I’m doing a Bucket list project now.. converting and DM’n all the 2e Ravenloft material to 5e we are on Night of the Walking Dead almost done this Adventure. Blackmore, Queen of the Spiders and a good Lizard Men Tomb Campaign if any one knows of one let me know thanks! I’m currently working on a Night Below 5e conversion and plan to start this great campn. with my regular players when they finish the introductory homebrew adventure they are in now. Had N.B and Mystara campn. boxes sitting around and one of my players begged me to let them start N.B. next. I’ve heard great things about Night Below, but never actually played it. Good luck! Can’t go wrong with what any of you have on your lists. My list would include the GDQ Queen of the Spiders modules, Undermountain, Dungeonland and the Land Beyond the Magic Mirror and probably B2, Palace of the Silver Princess. That last one has just been something that I’ve never had the opportunity to run. I might consider running some of these using Fantasy Grounds or Roll20 in the near future as my current in-person game is the Pathfinder Wrath of the Righteous AP. Don’t forget the original Freeport Trilogy by Green Ronin. The new Freeport AP looks promising as well if you need more pirates in your campaign. My bucket list includes Razor Coast, Rappan Athuk, Undermountain, and the Legend of Spelljammer boxed set. I am re-writing T1-Q series for 5ed…. It’s hard to pick just five but it has to include Dragon Mountain. Nothing makes me cackle like seeing high level heroes flee from kobolds, lol. I am currently running the (0riginal) Slavers/Giants/Drow series of modules along with Jade Regent. And I’ve played in Rise of the Runelords and the Desert of Desolation. I’m jealous. I’d love to play in the Giants/Drow campaign, but no-one has ever run it for me.